Baffled by the recent turn of events, Germany enters the new phase of world politics on unsure footing. Germany needs to shift gears on Europe. 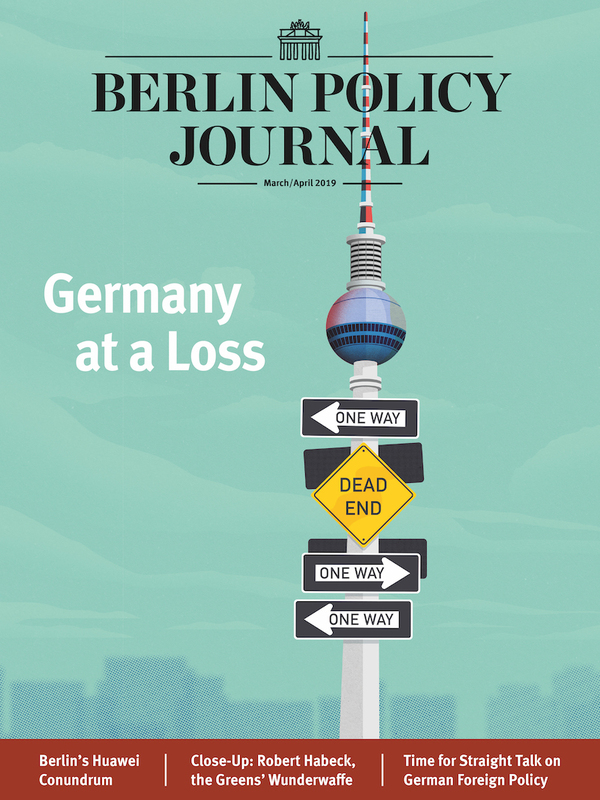 Foreign policy expertise is in crisis, in Germany and beyond. The German Greens’ new Wunderwaffe and what he stands for. Angela Merkel used to be hailed as the “climate chancellor”. Not any more. 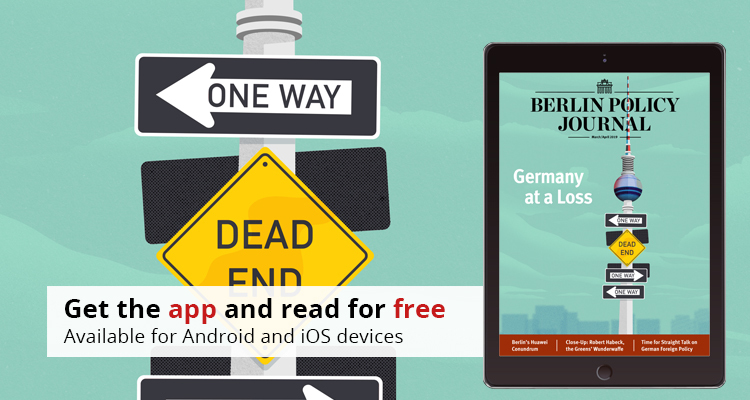 In a desperate bid to win back voters, Germany’s Social Democrats are shifting to the left. Germans just like to drive, drive, drive down the autobahn. 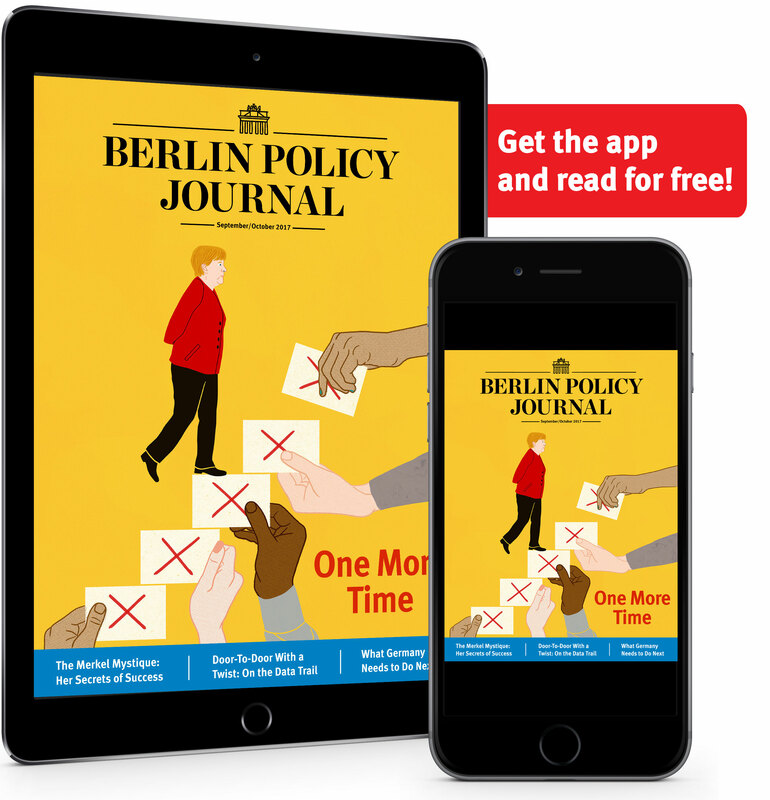 Will Berlin find the courage to ban the world’s largest telecoms equipment provider from its future 5G network? With Brexit approaching, Germany’s fear of fragmentation in EU security and defense policy carries risks. There are better ways to help European companies battle US and Chinese competing than loosening merger control.